Here’s how to unsend or delete photos sent over Apple’s iMessage or any other Messages app on iPhone, iPad or iPod touch devices. In a world where we are always sending photos to people, whether they be of our pets, our kids or just what we are having for lunch, there are inevitably going to be times when you send an image that you wish you hadn’t for whatever reason. Perhaps you simply chose the wrong image to send, or maybe more seriously, you sent an image that could be compromising if it was to hang around for too long. Wouldn’t it be great if you could remove that image even after it was sent? A new app claims to make exactly that possible, and it doesn’t need your image’s recipient to use a specific app. In fact, this works using the standard Messages app on iOS. Called ON/OFF Photo, the app essentially allows for images to be sent via instant messaging and then removed at a later date and time. Sharing images is a case of using the app to select the image you want to send, then sharing that image via the Share Sheet. Choosing stock Messages app, for example, allows images to be sent via iMessage just as many people with iPhones normally would. The difference here is that users can then select the same image in the ON/OFF Photo app and either delete it or simply turn it off. As can be seen by watching the video embedded below, recipients view the images via a web browser, which explains how the app is capable of turning them off. When the image is shared initially, our guess is that it is uploaded to the developer’s server and a URL is shared with the recipient. When a user decides to remove access to the image in question, that’s all handled by the web server and the URL no longer produces the image. Think of it as sharing an image via a Dropbox public URL and then deleting the image later. This, of course, all works on the provison that you are happy to send your images to the developer’s server, and depending on what those images are, you might not want to do that. It’s also debatable whether the recipient could simply save the image from within Safari should they want to, negating the whole point of the app entirely. 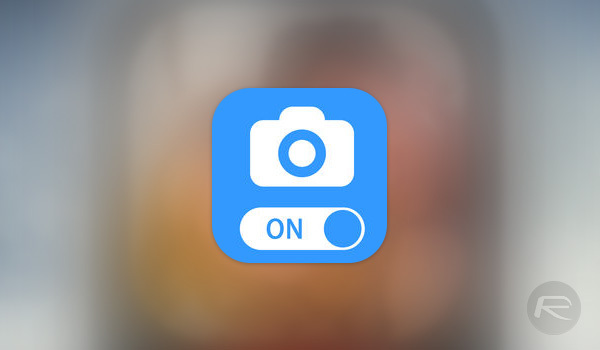 Still, ON/OFF Photo is free, so if you want to give it a try, you can without any monetary commitment. We’re just not sure we’d be sharing anything too risqué with it. The more I read Redmond Pie articles the more I dislike coming here.